This root spray has a lightweight, non-greasy formula to add root lift to hair and improve fullness. Perfect for fine, limp hair, this product contains volumising actives and Wheat Proteins to give hair a volume boost. Contains Wheat Protein which adds ‘substance’ to each individual hair strand both internally and externally for exceptional volume. 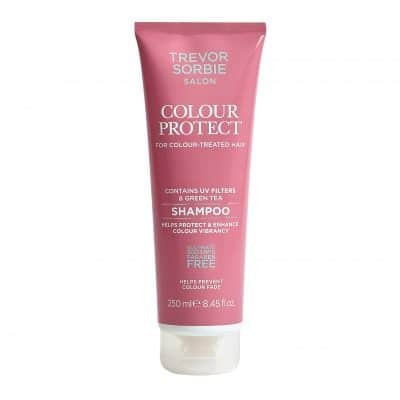 Contains an Amino Acid Complex which moisturises, strengthens and repairs hair surface damage. Aqua (Water), Alcohol Denat. (SD Alcohol 40-B), VP/VA Copolymer, PEG-40 Hydrogenated Castor Oil, Polyimide-1, Benzyl Alcohol, Parfum (Fragrance), Phenoxyethanol, Disodium EDTA, Creatine, Ethyltrimonium Chloride Methacrylate/Hydrolyzed wheat protein copolymer, Limonene, Dehydroacetic Acid, Linalool, Sodium PCA, Geraniol, Sodium Lactate, Arginine, Aspartic Acid, PCA, Potassium Sorbate, Glycine, Alanine, Serine, Valine, Isoleucine, Proline, Threonine, Histidine, Phenylalanine.